The Canadian Union of Postal Workers has abruptly cancelled a news conference Thursday, prompting speculation there may be progress in negotiations with the letter carrier. 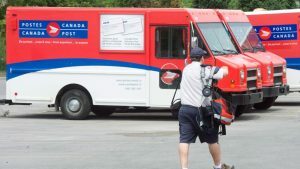 The union had been expected to give a 72-hour strike notice before their mandate to do so expires at midnight.Canada Post talks stall as strike mandate nears”If nothing changes between now and tomorrow, we will be issuing our 72-hour notice of strike activity,” the union had said Wednesday evening. But just minutes before that was supposed to happen, the union cancelled the event.